The food was decent. Our waiter wasn't. No where to be found multilpe times. I had to ask another waiter to find our waiter twice. Not good. For me part of the experience of eating out is the service. I will not be back. The restaurant vibe and location are excellent. 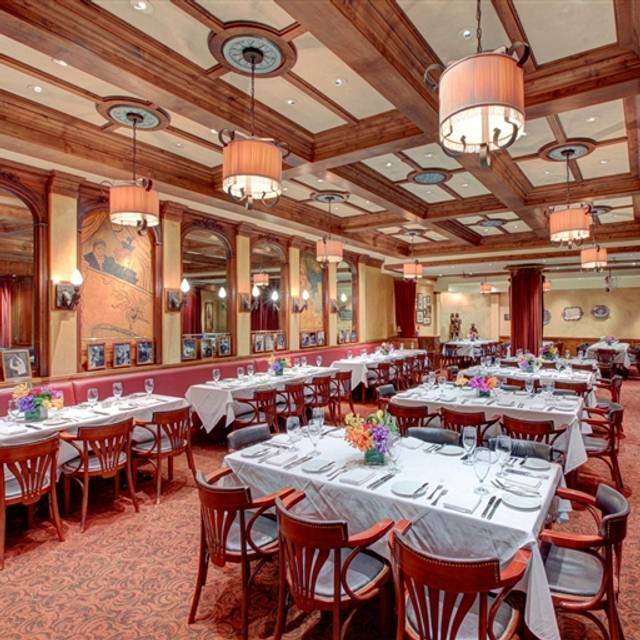 It's a perfect dining choice when you are taking in a performance at any of the venues there. The food was fine but in no way fantastic. The salad was small and the ingredients were skimpy with the exception of the lettuce. The Risotto was inedible, so as our waiter said, best to never order an Italian dish at a French Restaurant. There was an unfortunate mishap that occurred when a waiter spilled an entire tray of drinks and liquids and pieces of glass fell all over my client's feet and handbag. Mistakes happen but I was not too impressed with the apology from the restaurant, we actually did not even receive one. 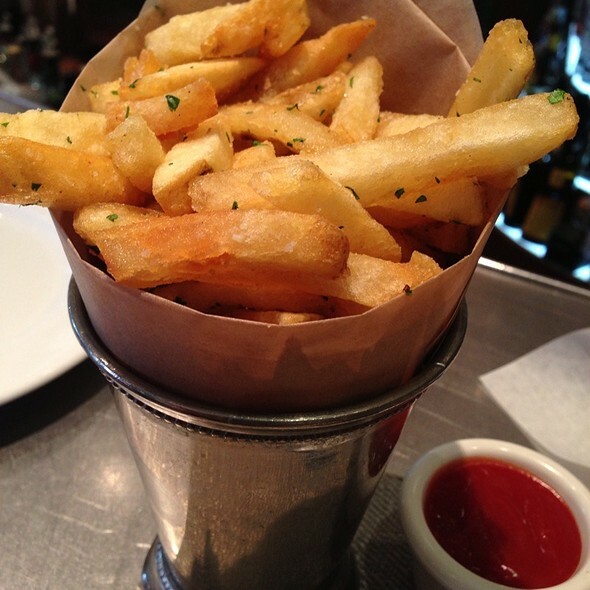 I highly recommended Kendall’s Brasserie. My two sisters, our 91 year old father, and I went to Kendall’s on Saturday for lunch before a performance at the Dorothy Chandler Pavilion. We were seated promptly and well taken care of throughout the meal. The service was perfect. The meal was delicious. Our water and iced tea glasses were refilled without asking. And the dessert ladened with a birthday candle for my father was a wonderful end to our meal. And most importantly, my father thoroughly enjoyed the restaurant, food and ambiance. Kendall’s location, so close to the Dorothy Chandler was convenient for our lunch on Saturday. But, I knew that the food was excellent because I’ve been to Kendall’s many times for lunch during the week. It’s a favorite destination of my ladies’ lunch group consisting of attorneys and judges. Our service has always been prompt, since most of the time one or more of us has to be back in court at 1:30. I’ve tried many menu items and have never had a bad meal. I've been several times and I can saw that it's good for a pre theater dinner. The food was great and the service is very good. I actually liked it better this time than I can recall. I was impressed by the generous pours from the bar. Nicely located in the Music Center and close to Disney Hall. We have been at this restaurant many times over the years. This was the best experience. We think the reason the food was better because not many patrons. Only the the Mark Taper had a production. other theaters closed. The onion soup came nice and hot ( the last time was luke warm). Service better because less people. When all the tables are occupied service is not as good. 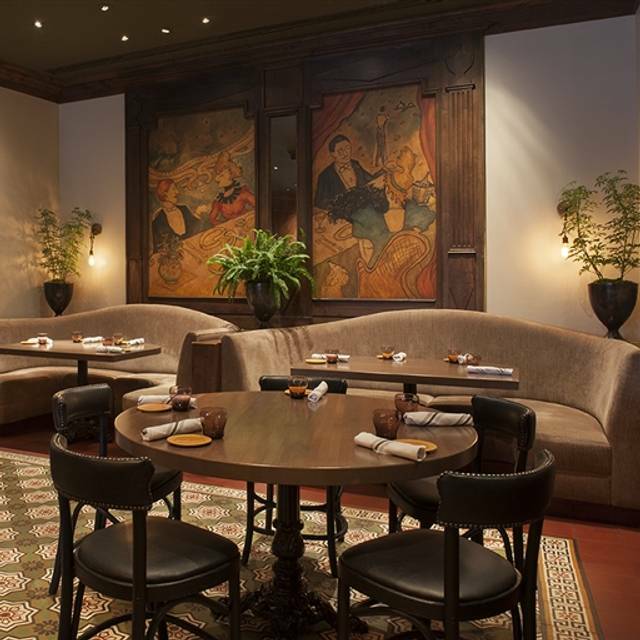 One of the few dining options nearby, Kendall's has a convivial ambiance and excellent service. My martini was spot on - just as ordered, but the steak was quite tough. I'm sure that I'll give it another try. Food was excellent and so was the service. Just very noisy. Unfortunately the website says they validate if you park at the music center for a reduced rate. This was not the case. They said they would remove it from the website. This place is one of my go-to restaurants when I'm attending a performance at the Music Center. 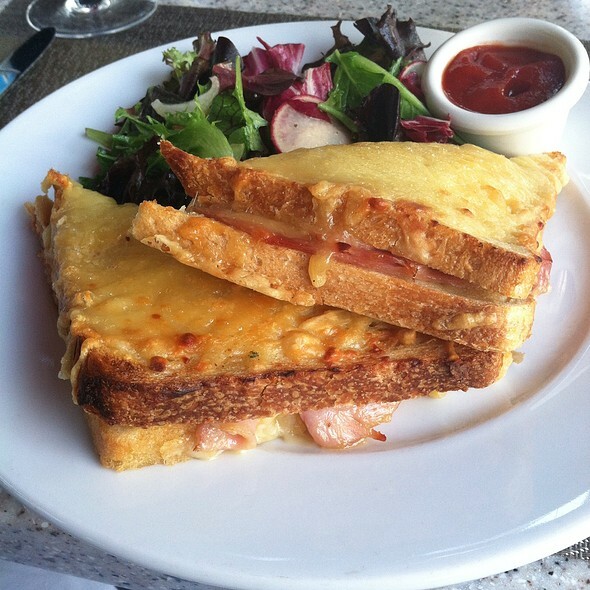 The food is always good and the service is professional and warm. 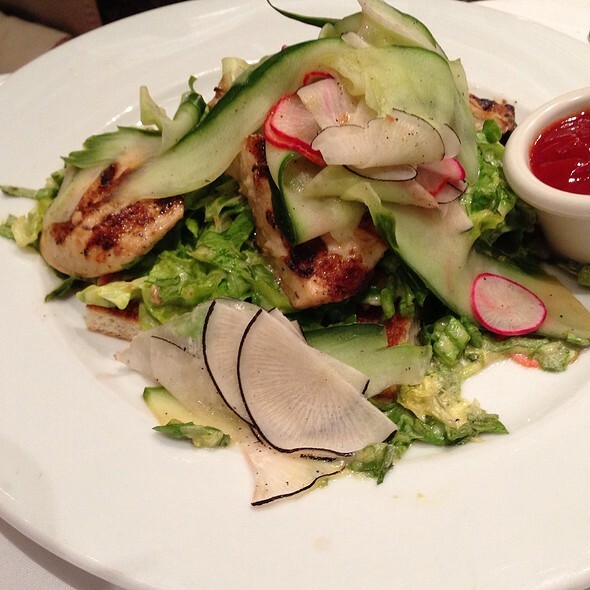 I had the lovely butter lettuce salad with a perfectly-cooked chicken breast. As much as I wanted the perfectly-baked French bread, I did not indulge (this time). On other visits, I've had the chicken which is always delicious and a perfect dish to split with a friend. 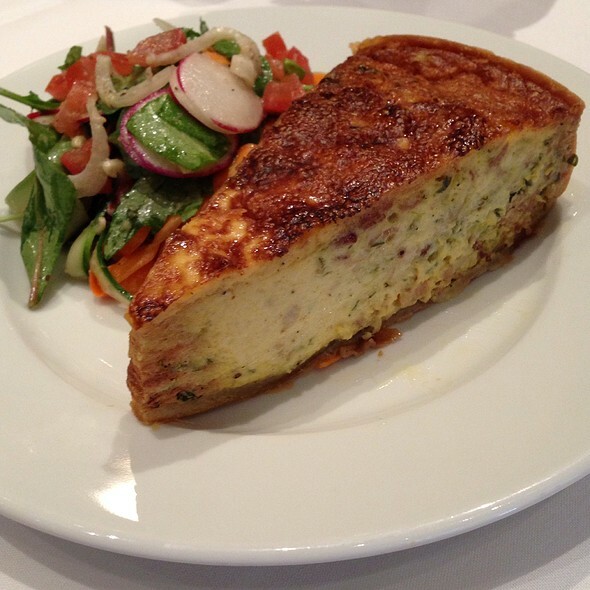 When I attended matinees, I would go for brunch and have the delicious quiche, so rich and flavorful! Such a nice restaurant! I honestly just chose this restaurant out of convenience, as I'm sure nearly everyone does, since if you want to have dinner before an event at the Music Center, you just park once, have dinner and walk to the venue. What a great surprise it was. 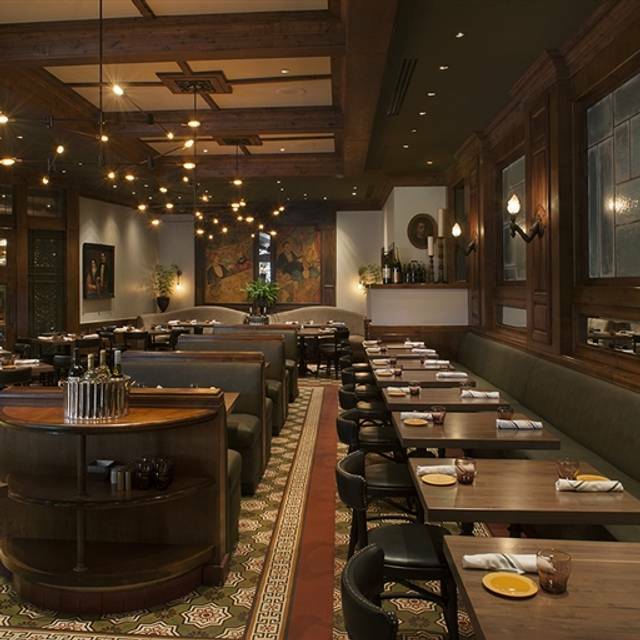 The interior actually did remind us of a Brasserie in Paris. Cozy and uptown feeling at the same time. I had their mushroom soup and endive salad, as did my friend, only he added the escargots to his meal. Delicious and beautifully prepared. Our waiter, who was SO nice, accommodated my other friend with her weird requests (onion soup, hold the onions) with grace. Wine was great, as well as the deserts, the apple tart with ice cream was a big surprise, the tart is very thin on phyllo-type dough with skinny slivers of apples and just a bit of cinnamon and butter. Very light with just a perfect scoup of ice cream in the middle. I would definitely go back again. Make reservations early if you are attending an event at the Music Center. We came in around 5:15pm and by 6:45 it was packed. Foods were of average quality for an up-scale restaurant. Noise-level was very high, making it hard to hear my wife, who was directly across the table. Great restaurant. Great staff. Delicious cuisine! Great atmosphere, location, and food. I would recommend it for any occasion but especially if great before or after a show. I’ve been to Kendal’s several times but not in the last 3 years. The quality of the food has really taken a dive. Even the Arnold Palmer drink was terrible. The short ribs were very tender but drowned in an overwhelming sauce. The food is decent and the proximity to the Music Center is of course unbeatable. We had slow service and acceptable but not wonderful food. Still I like coming here. Restaurant is very very busy and noisy. The service is very poor. We waited for 15 min and were not even offered water. I had to catch the “water lady “ to ask for some water. Then after 5 more min of waiting with no service whatsoever, I went to catch our server so we could order. The food is fine, not brilliant, I highly recommend Rotisserie chicken. The servers are flying by, trying not to look at the customers not to get stopped. Took me few attempts to catch our server got the bill. The food is expensive, so there is no excuse for poor service. We expected much more. Enjoyed brunch before attending the threatre, nice service and delicious food. Since it’s located on basically the same grounds as several of the threatre’s it was super convenient. We will definitely return. Menu needs a change. Love it here and come often, but could barely find anything I wanted. Good place to go before going to the theater or ballet. Very convenient. the food is always consistent. I think the food is good, the service was awful and really should be addressed. This is the only sit down restaurant at the Music Center. Food is good. My chicken was very good, my husband's risotto was not. Noise is awful. Decor is awful. We made a reservation online and then I made a personal phone call. We got there early and offered to wait. Instead we were shunted to an ugly dark side room with pseudo French Bistro decor and stuck at the worst table in the place. It was right next to a service station and under a glaring light. I pointed out a vacant identical table and was told it was reserved. It did not have a sign on it. In the past, Kendall's had terrible food and we avoided it in favor of a Plaza level place that is now closed. We went to Kendall's a few weeks ago, after not being there for maybe years. We had guests and there was nowhere else to take them and were pleasantly surprised. We were in a nice side room (quieter than the main areas) and the food was good. Last night we went as a date night and got stuck at the worst table in the place. We will probably be back if we have guests, probably won't if we are just ourselves on a date. Great place to go, prior to a concert across the street (Disney)... our 645 reservation wasn't open until after 7 .. so it was a bit tight getting to the auditorium. Food and service were fine ...a bit noisy. Favorite place downtown..great food incredible service and always consistently GREAT!!! The food was tasteless, tastless, tastless, tastless!!! The new Vegetable Medley Salad was excellent. Also the rotisserie chicken. Great meals to share. I think our waiter was overwhelmed we really felt like we were forgotten! Sat outside on a lovely evening, it was delightful. Excellent across the board. The new menu items were fantastic, try the tagliatelle with mushrooms and asparagus with crispy garlic, out of this world, and the beef bourguignon you'll want to lick your plate. 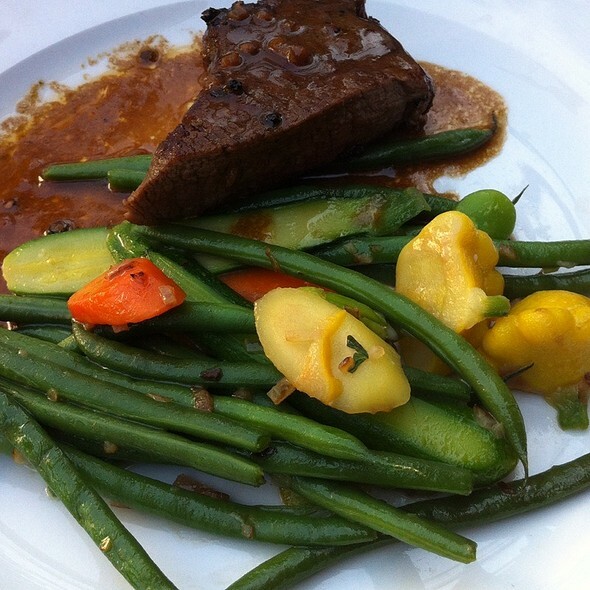 Kendall's has a varied menu and is always able to satisfy any dietary need or restriction. The wait staff is courteous without being overbearing and they see to their patrons' every need. We had a delightful lunch and were taken care of very nicely. You are always so kind and gracious and that is why I always say Kendall's is my "go to" spot when I am at The Music Center. Brought my son to Kendall's (his first time) for a lovely pre-concert brunch. We sat outside,people watched and ate our delicious meals he had a breakfast croissant sandwich,I had a wonderful Salade Nicoise. We can't wait to return! Service was awful and the food was just ok. The French onion soup was good and the cocktail was decent, but the $36 dry/overcooked short rib was meh. Great place/almost the only convenient place, to eat before the theater at the Music Center. However it is always great. However it is pricey for a simple dinner and one drink without dessert....you pay for the convenience and the dependable delivery. Will always go back. Kendall's is always enjoyable, delicious food and a friendly staff. The duck was superb. And the beet salad outstanding. Steak Tartare not seasoned, the portion was enormous but needed flavor. Dozen oysters came out without server telling us which half dozen were which variety. Tiny oysters, wouldn’t order those again. Probably skip this place altogether. Value of food for the price not great. I ate at a communal table in the bar and all the dishes I saw around me looked good. My salmon (potted - I forget what it was called) and a very small bok choy "slaw" was good but not great. My vodka Negroni was very good. Kind of laid back service, tho. A lovely time. Sat outside on a beautiful Sunday afternoon! Noise level was so much better than inside. The bread was warm and made a good teething thing for the baby :). Appetizer shrimp cocktail plate is great and the tomato onion jam was a nice touch. The Hanger steak was great, with the onion garnish. 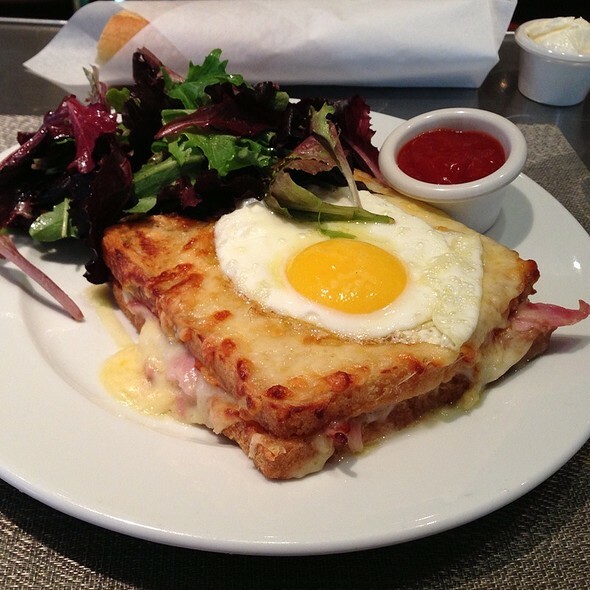 The croque madame and benedict were god as well and we enjoyed everything. Service was good and friendly. We enjoy coming here.